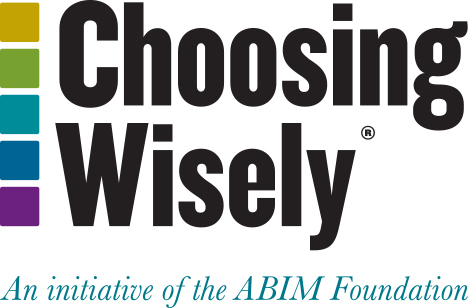 In early 2014, the Henry Ford Physician Network (HFPN), a group of more than 1,000 physicians working in the Henry Ford Health System, the Henry Ford Medical Group and private practice in and around Detroit, challenged its physicians to integrate one Choosing Wisely recommendation into their practice. Seventy-seven percent of the network’s physicians participated in the contest, working on 126 recommendations. 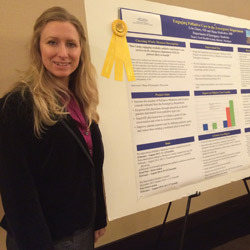 The winning projects were recently announced at HPFN’s annual summit, “Collaboration for the Future.” The first place project, “Engaging Palliative Care in the Emergency Room,” was created by two physicians who work in the emergency department at Henry Ford Hospital, Erin Zimny, MD and Manu Malholtra, MD. Their project focused on implementation of the American College of Emergency Physicians recommendation not to delay palliative care in the ER. improve patient-centered care by defining patients’ goals and values, and then creating a treatment plan to achieve them. “I think sometimes providers feel their hands are tied by a lot of things, like government regulations, hospital policies and guidelines for care. So to have an interaction with a patient where it’s really, truly about doing the best thing for them, and having the hospital system support to make that happen, it’s powerful and encouraging,” Dr. Zimny said. Drs. Zimny and Malholtra designed and implemented a new Emergency Medicine Grand Rounds curriculum for palliative medicine and ethics in the ED. They provided education to the Palliative Medicine and Hospice teams regarding the different needs and environment required to complete palliative care consults in the ED, and also created a weekly palliative care shift in the ED beginning February 2014. Understanding the thoughtful attention and potentially lengthy conversations with patients such care requires, the Chairman of the Department of Emergency Medicine also set aside time specifically for Dr. Zimny to provide hospice and palliative consultation services to patients in the ED, allowing her to focus on those most in need instead of trying to fit in palliative visits during her regular shift. The early results of the project are encouraging. Six-month pre- and post-intervention results show palliative medicine consults initiated from the ED increased from 3.5 to 11.5 per month. The palliative care consult team saw an additional four patients per month during this time, bringing the total to 15.5 per month. Hospice consults also increased, from 5.5 to 7.17 per month. Both ED and hospital administrative staff are supportive of continuing the project. Dr. Zimny hopes to expand the training to other providers in the ED, including physician assistants, nurses and social workers, with a goal of creating an interdisciplinary team to provide full-time support for hospice and palliative patients. Long term she hopes to replicate the model in other hospitals throughout the system.